The Lord has received another angel. 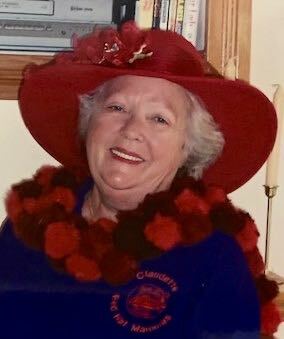 Claudette (Rose) Gatlin passed peacefully Friday morning January 11, 2019 in her home surrounded by her loving and caring family located in Currituck County North Carolina. She was preceded in death by her late husband, Mickey Gatlin along with her parents Willis and Delana Phillips. Claudette is survived by her loving children Jim and Mary Rose, Phillip (Tim) and Tammy Rose, Rick and Shelly Rose, Jeff Rose, Tammy Marie Rose, and Sherri Maters. Also surviving are her grandkids, Trey Rose, Jennifer and Jeb Tate, Tw and Lydia Rose, Ricki Rose, Alex Rose, Kimberly Rose, and Laura Gorna, as well as great-grandchildren, Alyssa, Braxton R., Jamie, Zachary, Jaxon, Christian, Juliana, Jillian, Braxton C., Hannah, Lily, and Lynsey and extended family James and Sandy Rawls. She will be greatly missed and never forgotten. We would also like to thank Community Home Care and Hospice. We will always be grateful for the extended care and support they gave to our family. The burial will take place at Evergreen Memorial Park 2800 Nash Street Wilson, North Carolina on Monday January 14, 2019 at 11 am. Following will be a celebration of life with a light lunch at Farmington Heights Church of God 910 Raleigh Road Pkwy W, Wilson, North Carolina at 12 pm. Condolences to the family may be expressed via the on-line register at www.gallopfuneralservices.com. Gallop Funeral Services, Inc. was entrusted with local arrangements. Joyner Funeral Home in charge of family care in Wilson.